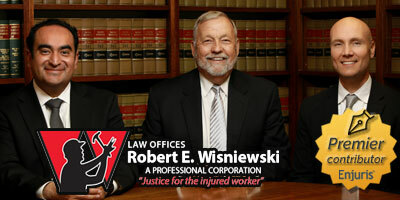 Negligence is the most common basis for recovery in personal injury lawsuits. In Arizona, we must turn to case law to determine what elements must be proven to establish negligence. In most personal injury cases, the injured person (the plaintiff) uses the legal theory of “negligence” to establish that some other person (the defendant) is at fault for their injuries. But what is negligence? How does a person establish it? And what happens if the injured person is partially responsible for their own injuries? Let’s take a closer look at negligence as a basis for recovery in Arizona personal injury cases. Most accidents happen because someone was careless. In legal terms, this carelessness is called negligence. A person can be negligent by doing something they shouldn’t have done (such as running a red light) or failing to do something they should have done (such as failing to wear their glasses while driving). Duty. The plaintiff must prove that the defendant owed them a duty of care. A duty of care arises when the law recognizes a relationship between the plaintiff and defendant requiring the defendant to exercise a certain standard of care so as to avoid harming the plaintiff. In most cases, the applicable standard of care is the degree of care that a “reasonable person” would exercise under the circumstances. For example, the law requires all drivers to exercise “reasonable care” while operating a motor vehicle so as not to harm other people on the road. Breach. The plaintiff must prove that the defendant breached the duty of care. A breach occurs when the defendant fails to meet the standard of care required. For example, a driver breaches their duty of car by running a red light. Causation. The plaintiff must prove that the injury was caused by the defendant’s breach. Damages. The plaintiff must prove that they actually suffered some sort of injury (whether it’s a physical injury or an injury to their property). Let’s take a look at a simple example to see how these elements work together. Say you’re driving your car northbound when a truck headed eastbound runs a red light and slams into the side of your car. As a result, your car is totaled and you sustain a neck injury. You decide to sue the other driver. In this example, the defendant owed a duty to you (and all other drivers on the road) to exercise reasonable care while operating their truck. The defendant breached this duty by failing to stop at the red light. The defendant’s breach caused your injury (if the defendant hadn’t run the red light, you wouldn’t have been injured). Finally, you suffered real damages (the damage to your car and the injury to your neck). How you go about proving the various elements of negligence will vary depending on the specific circumstances of your case. In a car accident, it’s often necessary to obtain a copy of the police report—along with eyewitness testimony—to prove that the defendant did not meet their standard of care. It may also be necessary to obtain medical records and expert testimony from doctors to prove that the injuries sustained were legitimate and caused by the accident. Enjuris tip: An experienced personal injury lawyer can help you develop the evidence you need to establish negligence. Learn more about when you may need an attorney. As discussed above, negligence requires you to prove that the defendant owed you a duty and that the defendant breached that duty. Under the doctrine of negligence per se, the defendant’s law-breaking act serves to establish those first two elements automatically. In other words, if you can show that the defendant broke the law, you don’t have to show that the defendant owed you a duty and breached that duty. Expresses the rules of conduct in specific and concrete terms as opposed to general or abstract principles. Many of Arizona’s traffic laws fit these two requirements. In the state of Arizona, all cars must come to a complete stop at a school crossing when a portable sign is placed before the school crossing. The law is enacted for the safety of the public and it specifically states what’s required of drivers. If a driver approaching a school crossing fails to stop and injures a pedestrian, the driver will likely be found negligent per se. This would save the injured pedestrian the trouble of having to prove that the driver owed them a duty and breached that duty. Keep in mind that the injured pedestrian would still have to show causation (that the failure to stop at the school crossing caused their injury). Let’s say the defendant fails to stop at a stop sign and crashes into you. But when this occurred you were driving at night with your headlights off. A judge or jury may find that you were 30% at fault for the accident and the defendant was 70% at fault. Under Arizona’s comparative fault law, you would only be able to recover 70% of your damages from the defendant. Landowners owe a certain duty of care to the people who set foot on their land. For example, a homeowner might owe a visitor a duty to warn the visitor of any dangerous conditions (such as icy front porch steps). The ability to prove that a landowner was negligent usually hinges on whether the victim is considered an invitee, licensee, or trespasser (the landowner is held to a different standard of care depending on the classification). If you or someone you love was injured by someone else’s actions, consider using our free online directory to locate an Arizona negligence attorney who can help.